Ivorian-born Ahmed Toure has ruled out another stint with Kumasi Asante Kotoko, saying he is done with the club. The Burkina Faso international is in Kumasi and was at the Baba Yara Stadium on Sunday to watch the 1-1 draw in the Ghana Premier League derby between visiting Accra Hearts of Oak and his former club. Toure has been linked with Aduana Stars and Medeama. “My time at Kotoko is over. If I will play in Ghana, I will not play for Kotoko, again. I came to the stadium just to watch the game,” Toure has told Silver FM. “When I came back to Kotoko for my second spell, they couldn’t pay me all my signing fees, they still owe me 40,000 cedis. 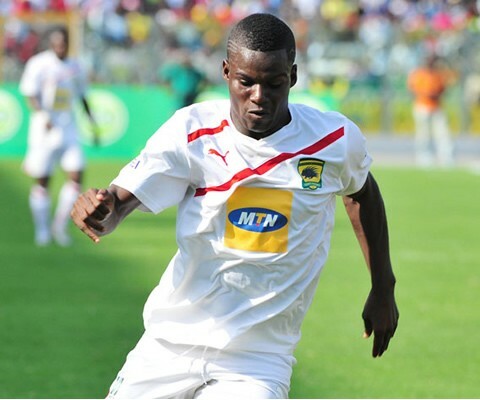 “I didn’t come to Kumasi to hold talks with Kotoko,” concluded Toure.